How Does DC Rank for Valentine’s Day Delights? 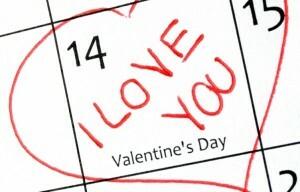 Did you know that America’s sweethearts plan to spend an average of $143.56 each on Valentine’s Day delights? Personal-finance website WalletHub recently released its report on 2018’s Best Places for Valentine’s Day… and there are a few categories where the Beltway has some best bets. To determine the most romantic — yet affordable — cities for celebrating the Day of Hearts, WalletHub compared 100 of the largest U.S. cities across 23 key metrics, ranging from florists per capita to forecasted precipitation, to cost of a three-course meal for two. Looks like love may be in the air, but wooing has a lot to do with the wallet! Support This Building in Shaw and Drink Cheaply All Next Week!